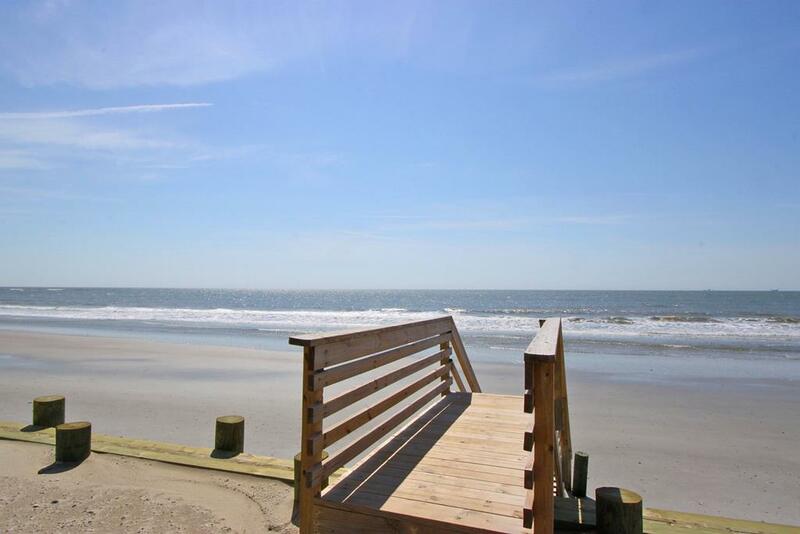 Want Beach? 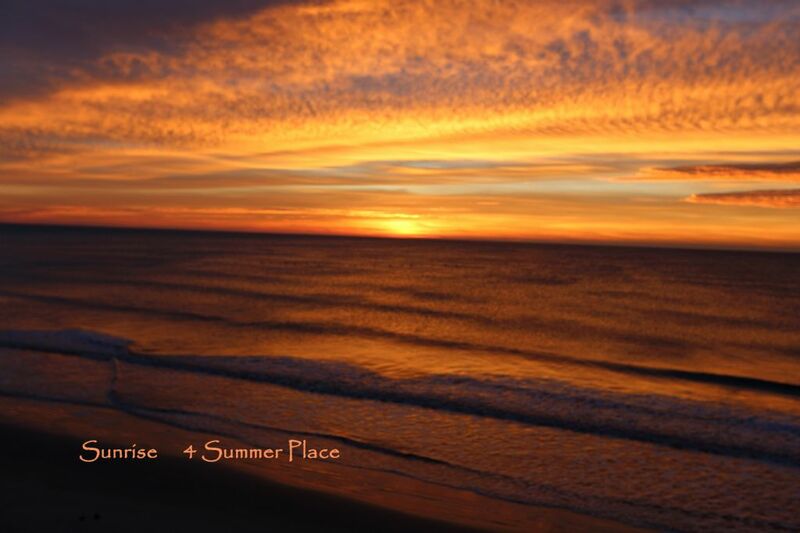 Welcome to 4 Summer Place! 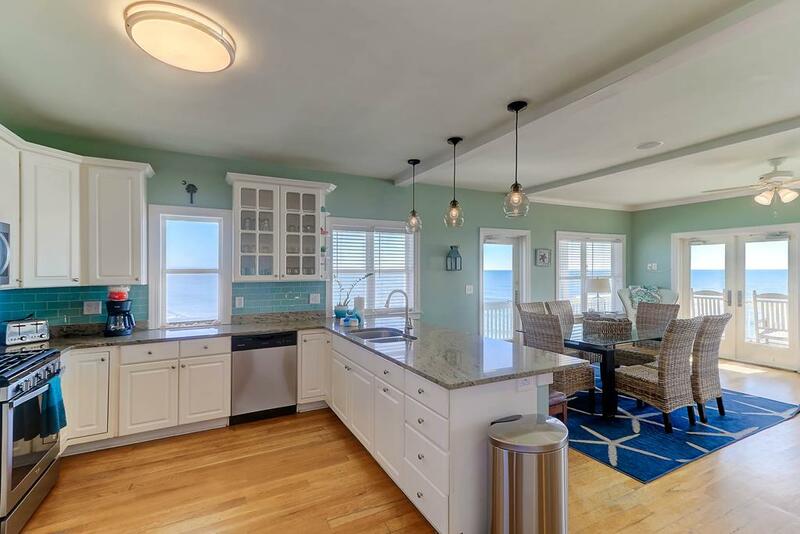 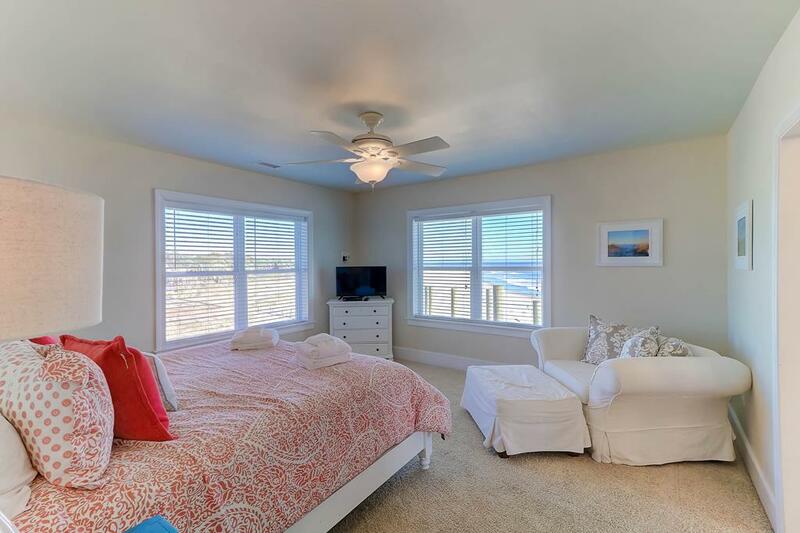 The very spacious, updated oceanfront home includes 4 oversized bedrooms, 3 full baths, 2 half baths and will not disappoint! 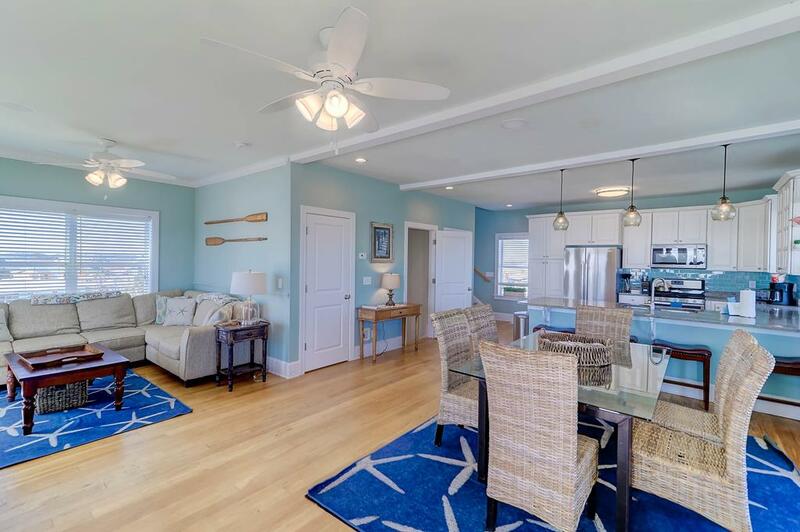 This oceanfront home features coastal/southern style décor and is uniquely positioned right on the beach, offering ocean views everywhere you turn! 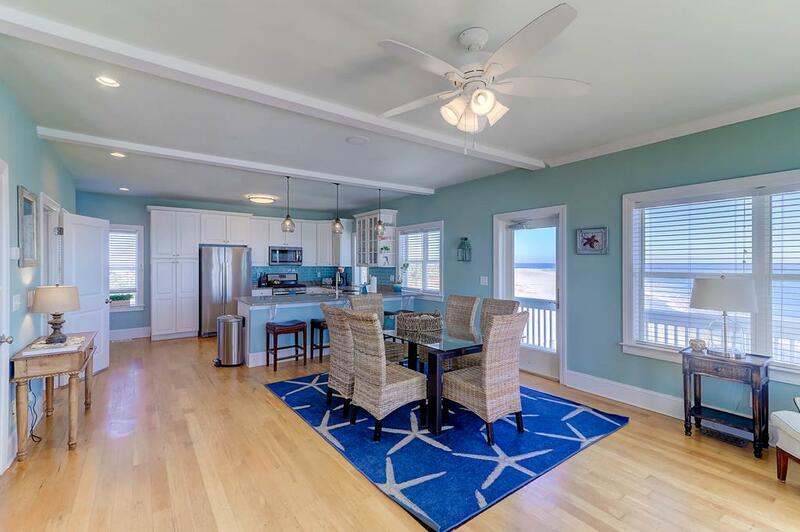 Leave the daily grind behind and enjoy your beachfront vacation home! 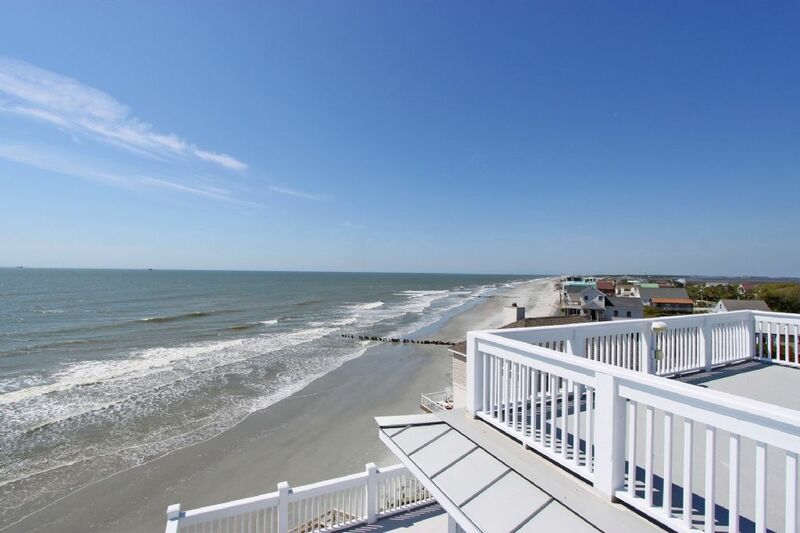 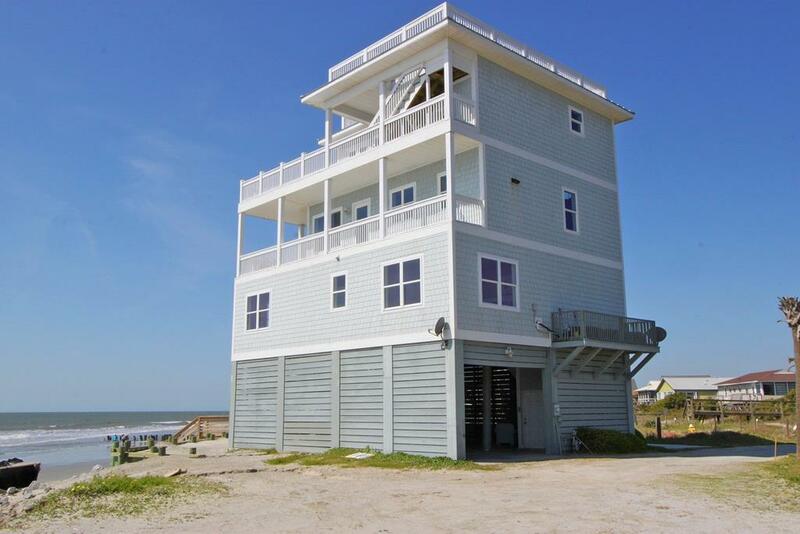 4 Summer Place provides views like no other on Folly Beach! 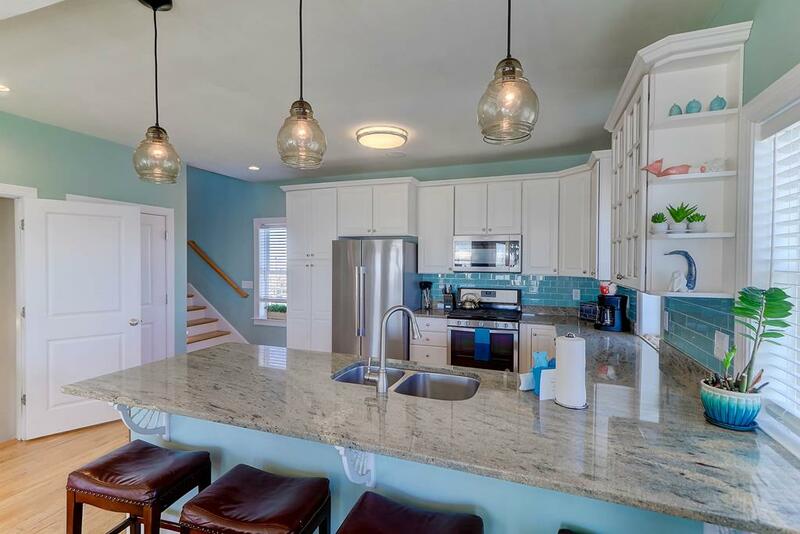 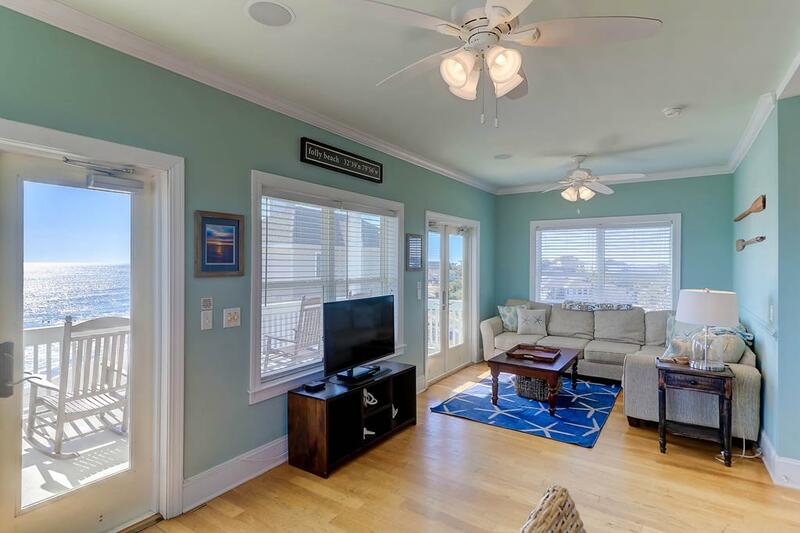 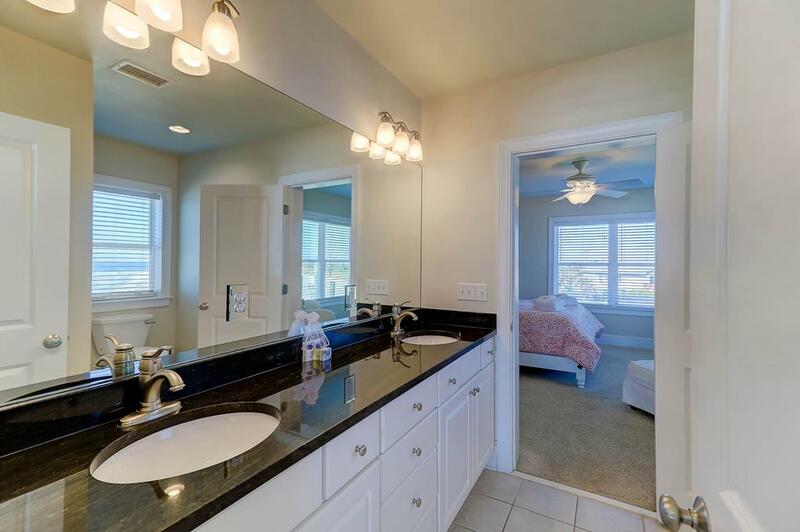 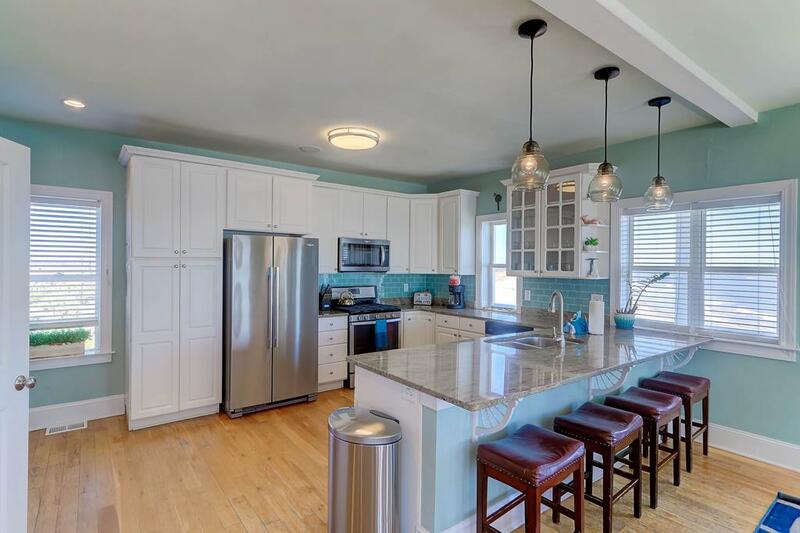 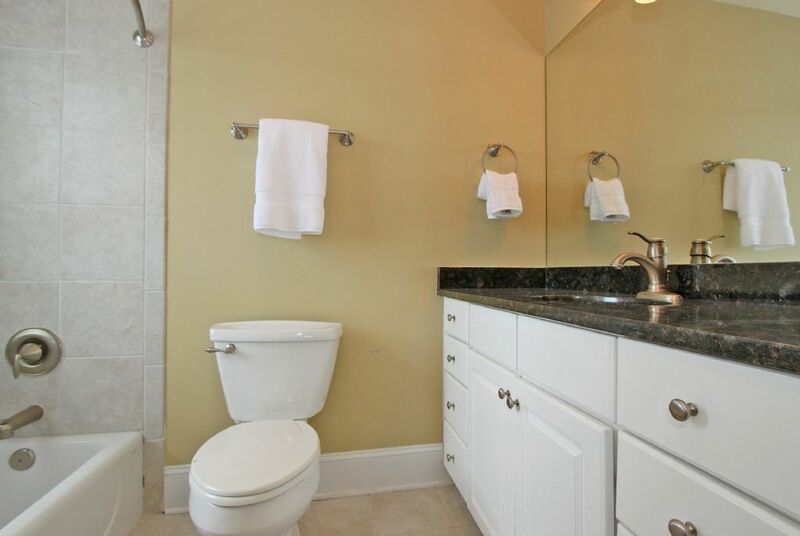 Located at the east end of Folly, you will enjoy unobstructed, panoramic views of the Ocean, Morris Light House, Charleston Harbor and Ravenel Bridge! 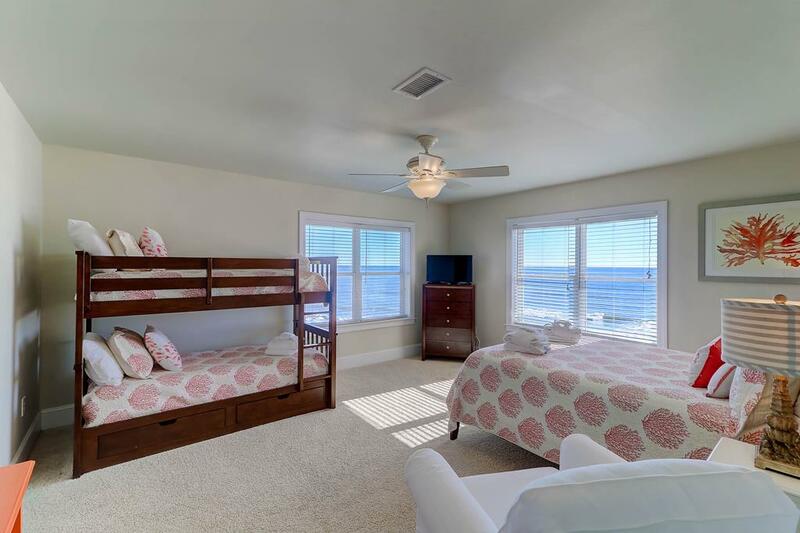 Inside the home, you will enjoy taking in the ocean from every room! 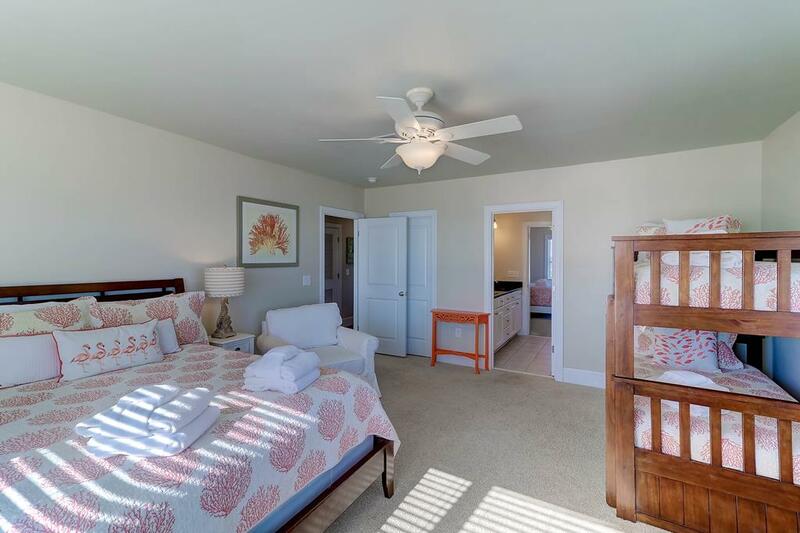 The main living area is located on the 2nd floor and features an open floor plan including a fully equipped kitchen, dining room and living room. 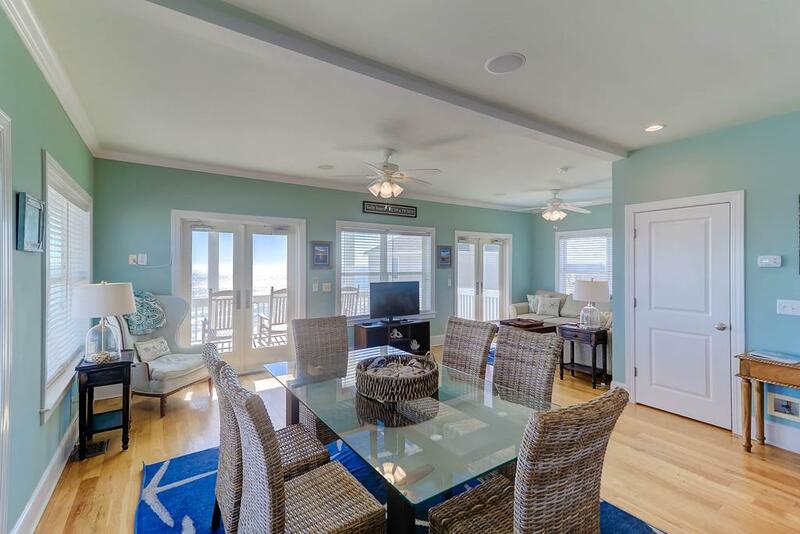 With ocean views from every angle, you and your family/friends can enjoy the ocean during meals, while hanging inside or to get one step closer to the ocean, you can step thru the French Doors to enjoy the wrap around deck! 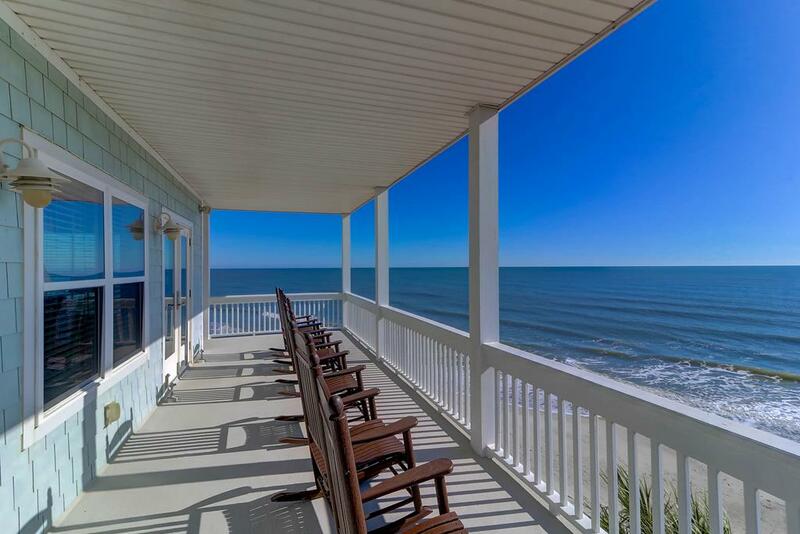 Just hop on a rocking chair and start relaxing! 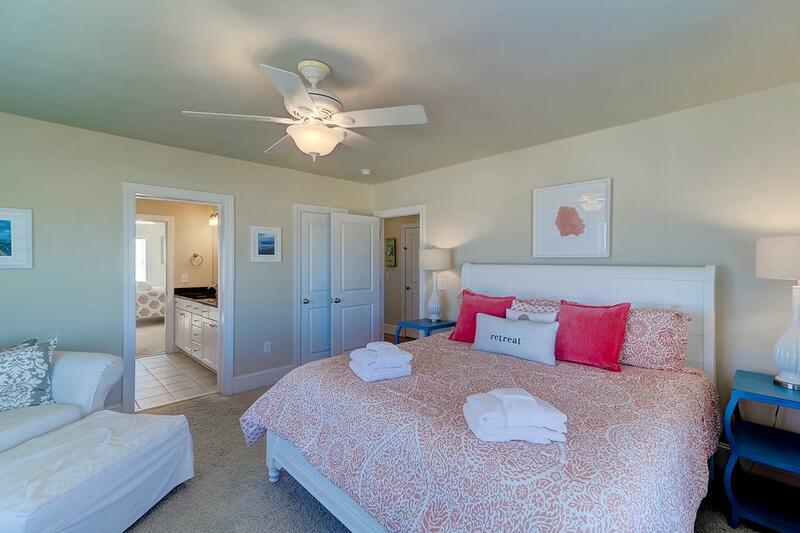 Each of the 4 oversized bedrooms are beautifully decorated to make you feel right at home! 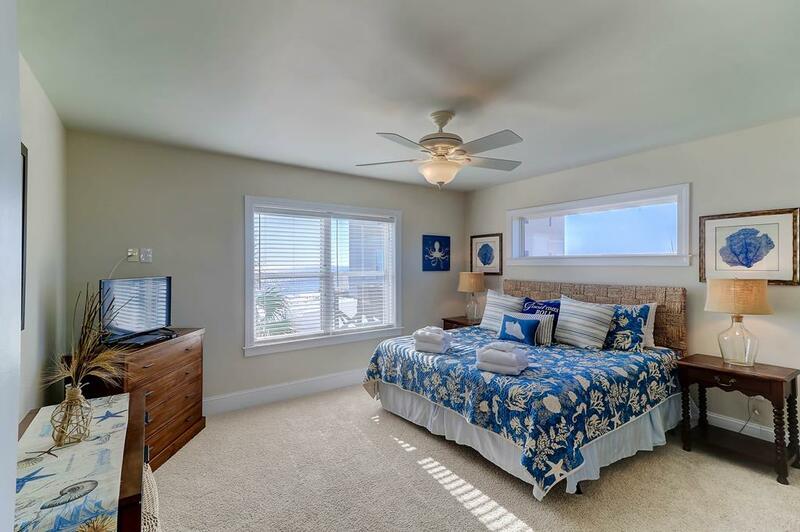 All bedrooms have ocean views, allowing you to retreat for some quiet relaxation! 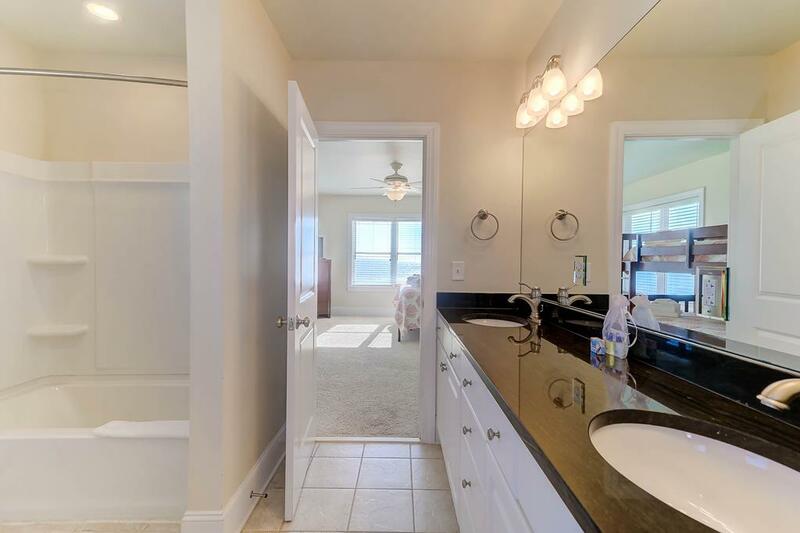 (No squishing into small bedrooms in this home!!). 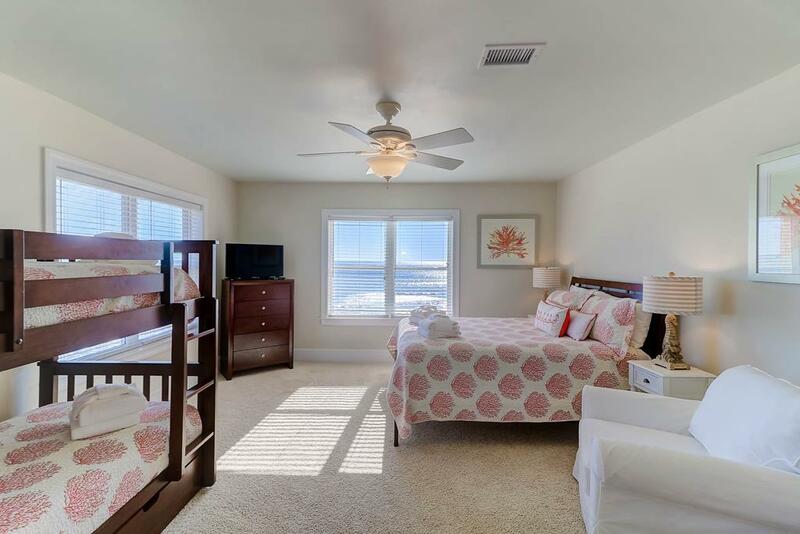 Three of the 4 bedrooms are located on the first floor including a full Master Bedroom with a king bed and a private bathroom, the 2nd bedroom also includes a king bed and is adjoined by a jack-n-jill bathroom including double sinks, to the 3rd oversized bedroom which includes a queen bed and a bunkbed. 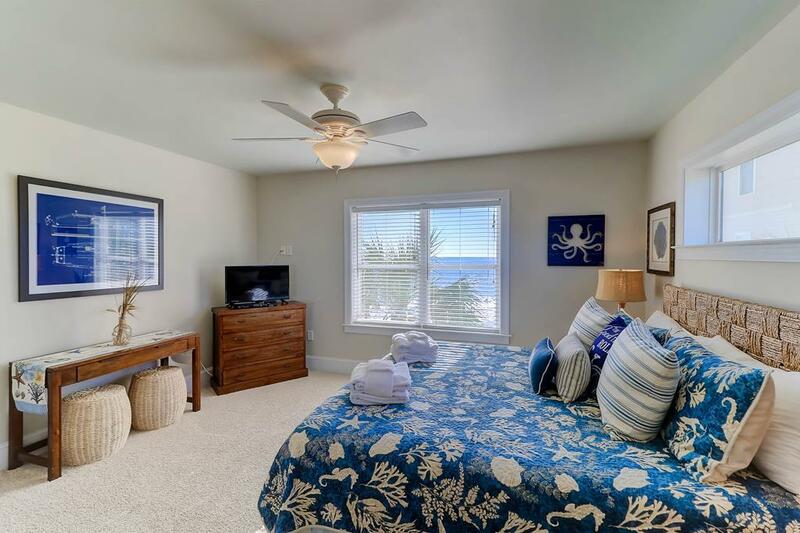 All bedrooms include flat screen TVs with cable and DVD players for your entertainment enjoyment. 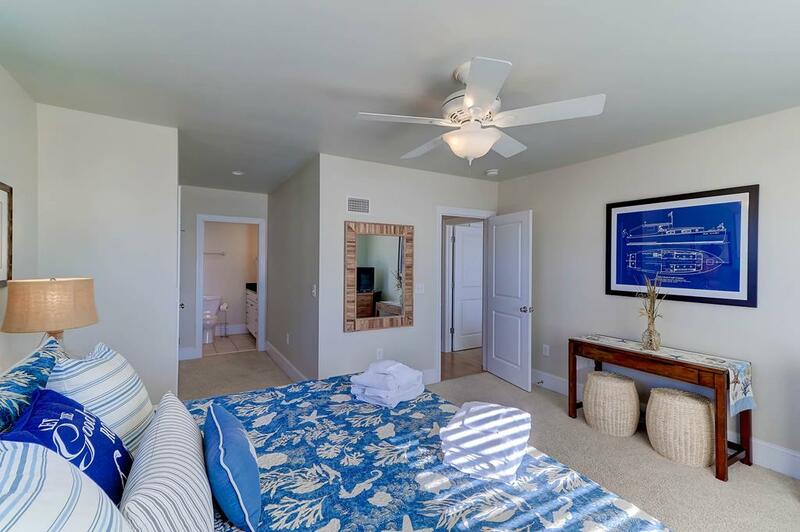 To feel right at home, each bedroom includes a closet, dresser and plenty of space so you can unpack and store your luggage. 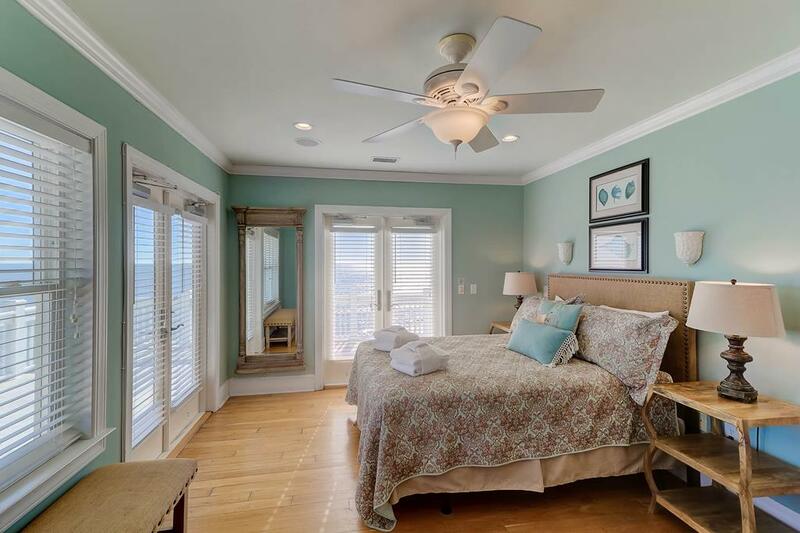 The ultra-private master suite is located on the 3rd floor and includes a queen bed and private bathroom with his-and-her sinks. 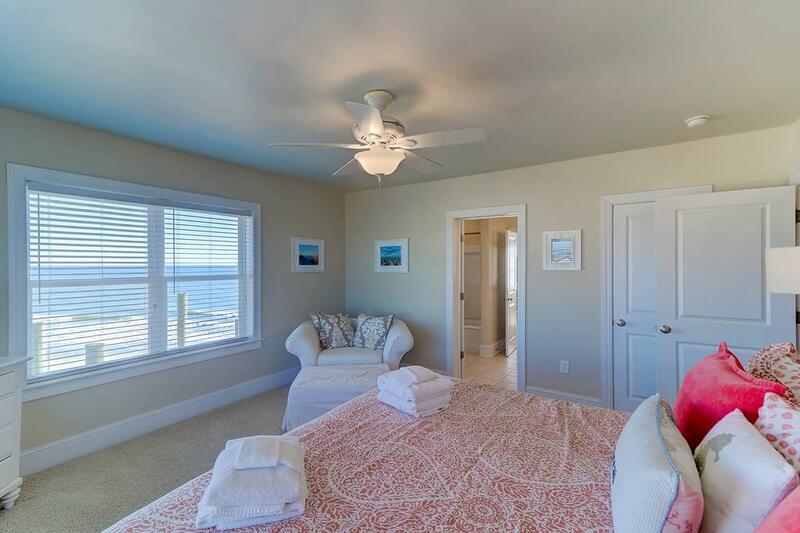 The master suite provides the ultimate in relaxation with a deck steps away from your bed - perfect for watching the sunrise. 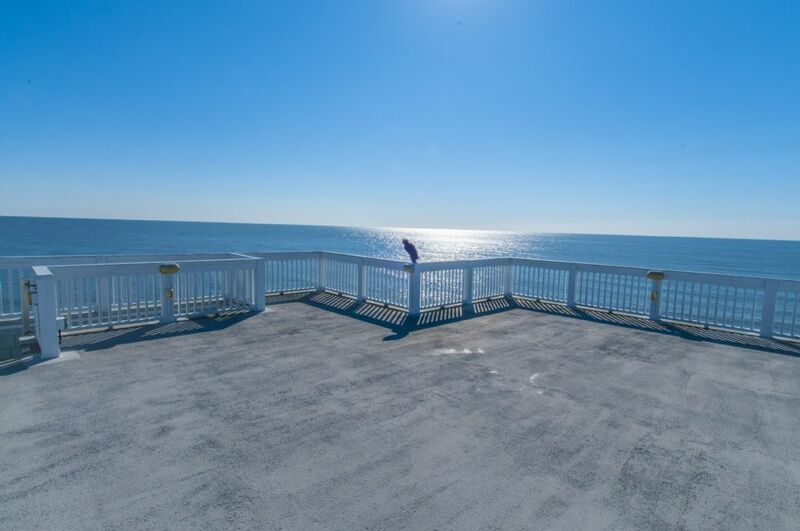 4 Summer Place has plenty of oceanfront decks to enjoy! 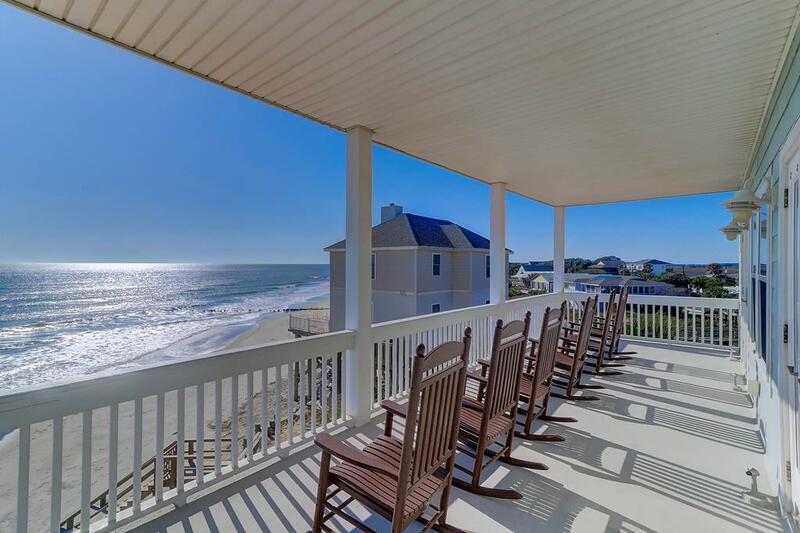 On the second or third floor decks, take your morning coffee or afternoon cocktail outside to enjoy while relaxing on a rocking chair and taking in the ocean. 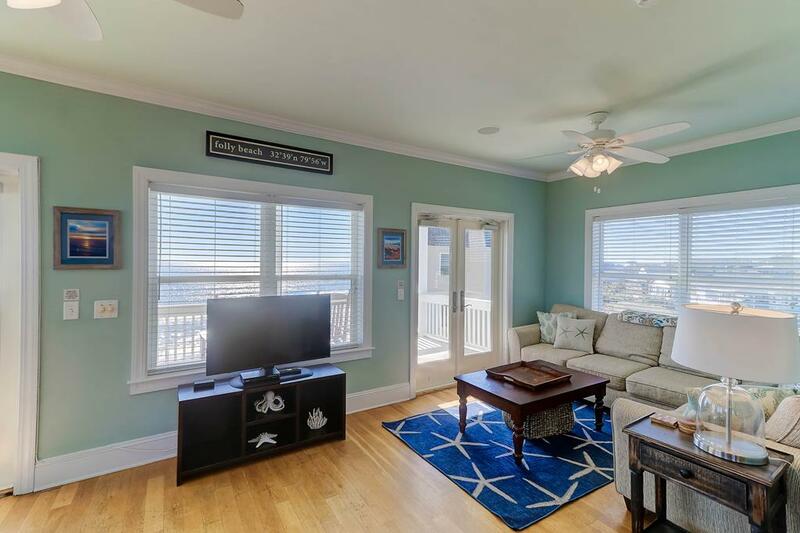 The rooftop deck is a fantastic feature of this home! 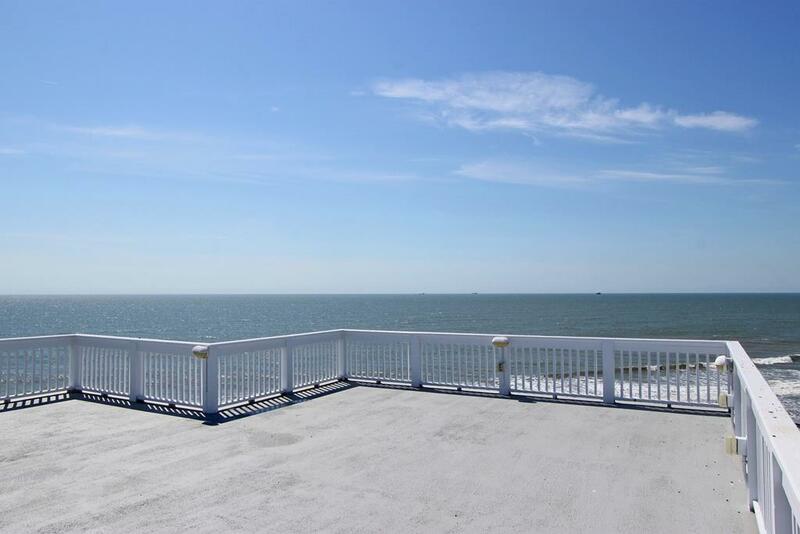 The rooftop is a sun-bathers delight during the day and a terrific spot for watching the sunset or star gazing in the evening! 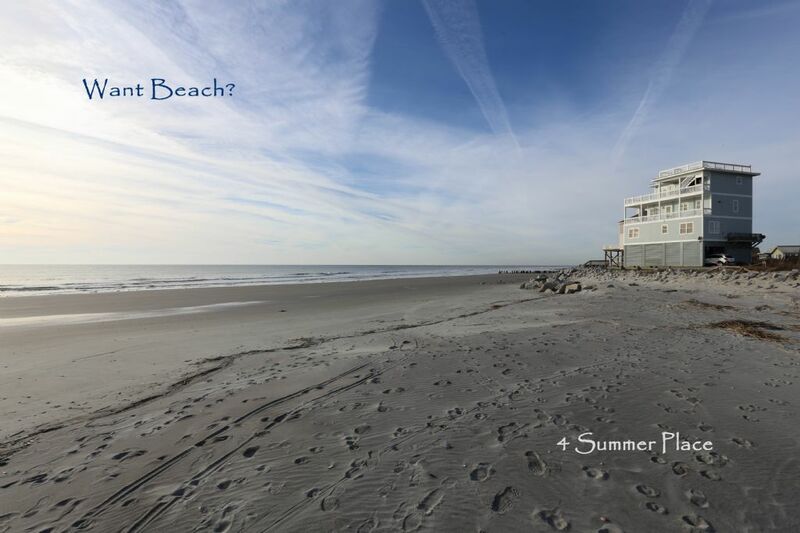 It keeps getting better…4 Summer Place also provides guests with a private stair/direct beach access! 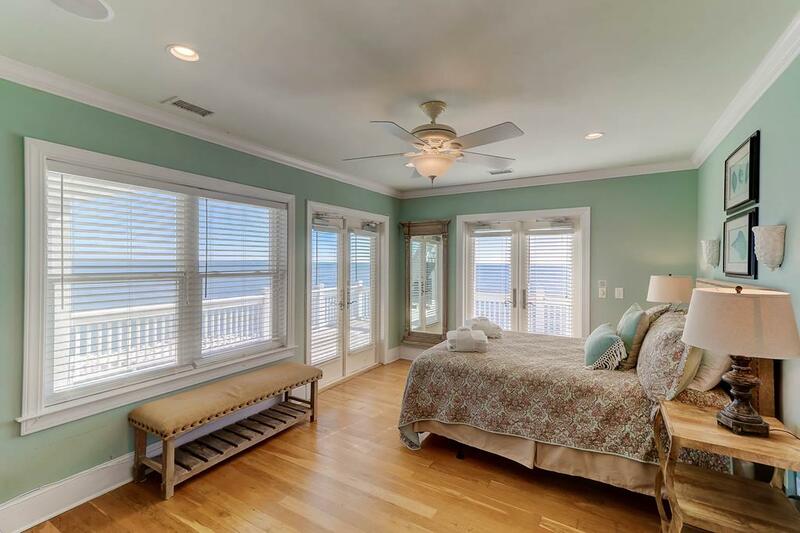 When it’s high tide you can also enjoy the beach/sunbathing from the beachfront yard. 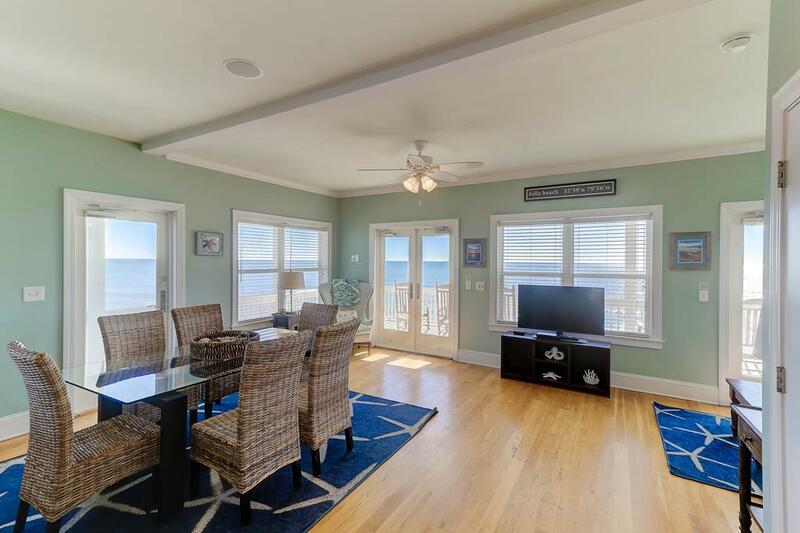 With plenty of indoor and outdoor oceanfront views 4 Summer Place is the ultimate in beach living at its finest!